Measurements: 30mm X 4mm high. Characteristics: The back is flat and the front is domed. These have light pitting or some raised inclusions. They are supposed to resemble real stone. 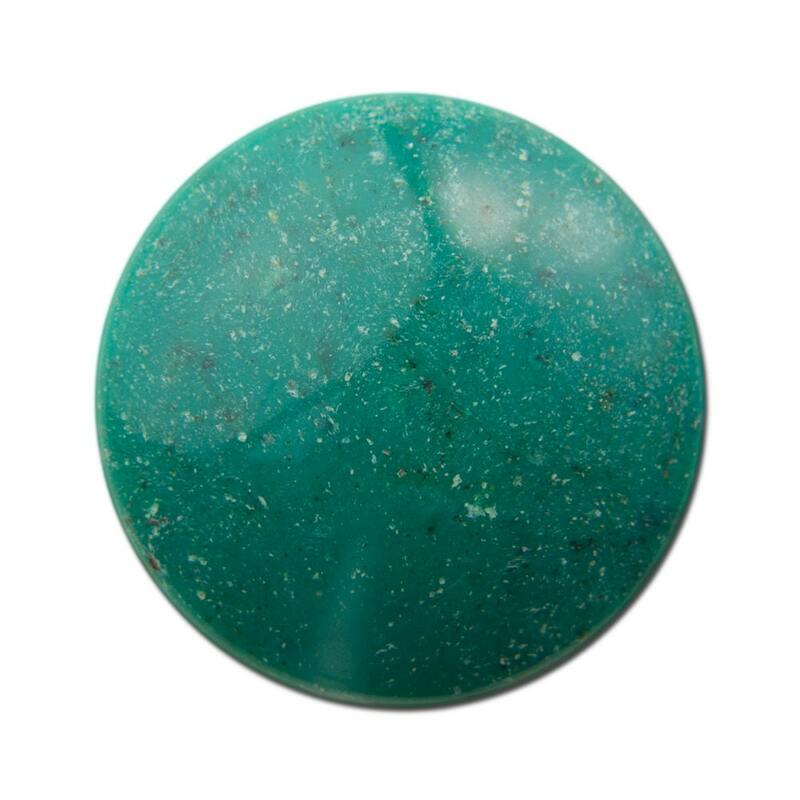 Color: Teal with tannish inclusions. Always a pleasure!! Thank you!